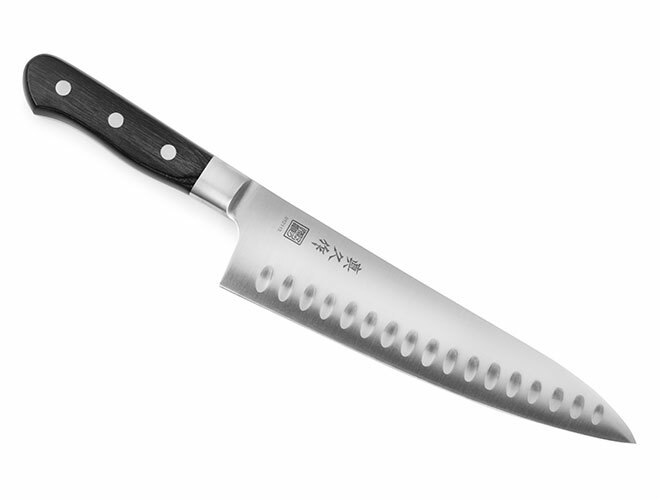 The Mac Professional Hollow Edge Chef's Knife is the most commonly used size in both the home and professional kitchen. The blade allows this knife to easily cut, slice, and dice almost any food. 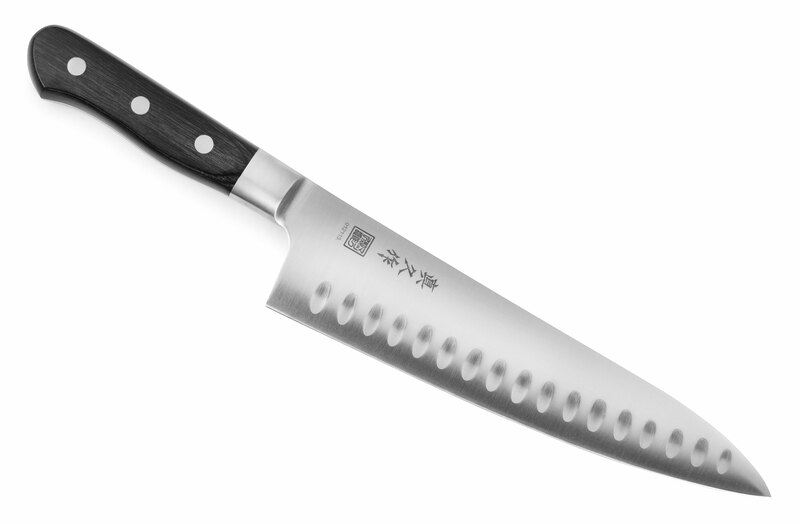 The hollow edges help the knife to glide through sticky foods such as potatoes, apples, and summer squash. The weight of the bolster in combination with the blade makes this extremely well balanced in the center of your hand. Cut through most foods using minimal effort. Made in Japan with a 25-year warranty.